We’re as Easy To Contact as We Are to Work With! Contact us today to learn more about how our unique products can enhance your home, business, or organization. 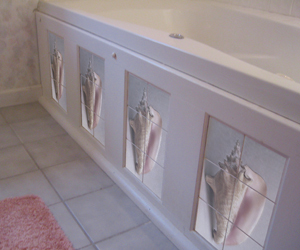 We’d be pleased to discuss your particular project to help you decide if a Tile Murals Plus product is right for you. Knowing which of our products will work best for your particular application insures that you’ll have a successful project that you’ll be proud to show. And, as always, discussing your project with us puts you under no obligation whatsoever. We look forward to hearing from you soon! If you have Skype,we’d be pleased to speak with you personally. (by prior arrangement, please contact us to set up a time). Don’t have Skype? Get it here for free!